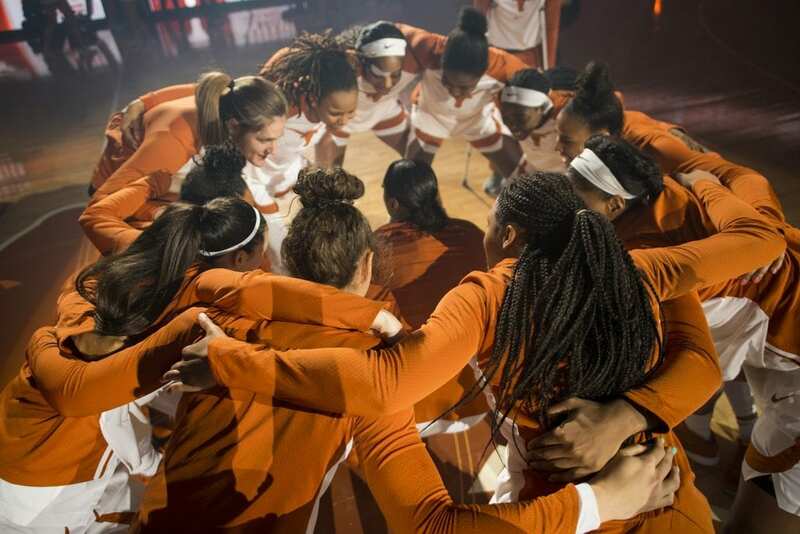 The Texas Women's Basketball team returns to the court Saturday, and hosts a kids' clinic after the game (Photo courtesy of texassports.com). Texas Athletics and the Women's Basketball staff and student-athletes announced the Longhorns Kids Clinic coming Saturday following the Longhorns’ game against Northwestern State. The No. 13/12 University of Texas women's basketball team closes out 2018 on Saturday when it plays host to Northwestern State at 1 p.m. in their first game since a win over UT Rio Grande Valley, 81-66, December 20 at Edinburg, Texas. The clinic is open to girls and boys (8th grade and under), and will last one hour starting about 15 minutes after the conclusion of Saturday’s game. •Texas coaches and student-athletes will instruct young Longhorns (8th grade and under) during the clinic session. •Parents are encouraged to preregister participants by emailing name, age and grade to matthew.hay@athletics.utexas.edu. •Parents will need to fill out a waiver form at the marketing table near section 44 on gameday in order for their child to participate. •Dress athletically and wear your gym-appropriate shoes. •Activities will take place on the Erwin Center court following the game. Fans are invited to bring their children and enjoy the fun and excitement before, during and after the game and support the Longhorns. Participants and chaperones are required to have a ticket to the game. For additional information please visit TexasSports.com. Also, please note that due to the clinic, there will be no Fast Break Club meeting after the game.